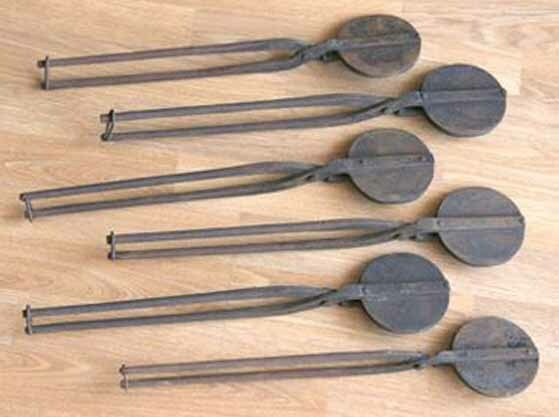 Kata irons made a 19th century Japanese cookie, a precursor to the Fortune Cookie. More information - including a nice slide show - available at the links below. Thin wafers rolled into cylinders or cones. And the Secrets? Wrap nuts or sweets with a verse on a paper in colorful glazed paper. "Cheese Toaster with double bottom for hot water" image from Bishop, 1852. 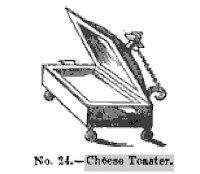 A Toasted Cheese or Scotch sandwich, when mustard was added, became a Welsh-rabbit (described in 1827 book). Flies were a nuisance and a danger, such as "fly blown" - flies leaving eggs on meat which turned into maggots. 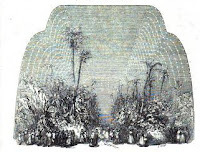 Punkas - large fans suspended from the ceiling moved by a cord - were popular in India and the American South. Other methods described below included meat safes, dish (fly) covers, cloth over milk, meat or windows; spices or chemicals. 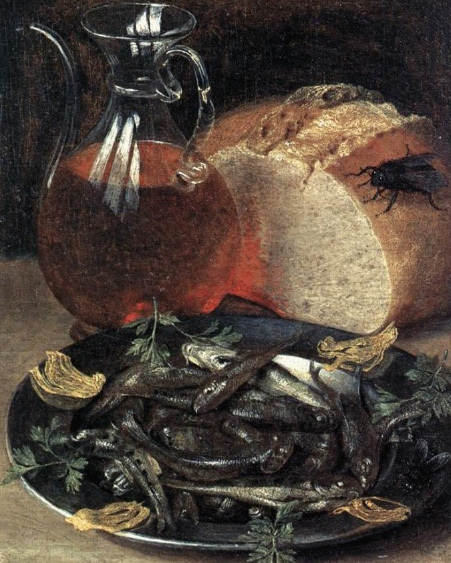 Painting from 1637 depicts a fly on the bread.